Fashion design focuses mainly on the creation of clothes and accessories. It incorporates the design, development and creation of a garment or product, as well as the distribution and marketing of products. Fashion trends are ever-changing and developing, meaning that your work within fashion will always be evolving. An undergraduate degree in fashion design will give you a foundation of knowledge around the area. You will study modules on fashion photography, sustainable design, fashion brand management, radical design, and fashion styling. These modules will give you the opportunity to develop your professional practice and theoretical knowledge. Your degree will be delivered in a mixture of modes. These will include lectures and seminars, as well as practical sessions and studio time. You may be required to take part in a work placement module. 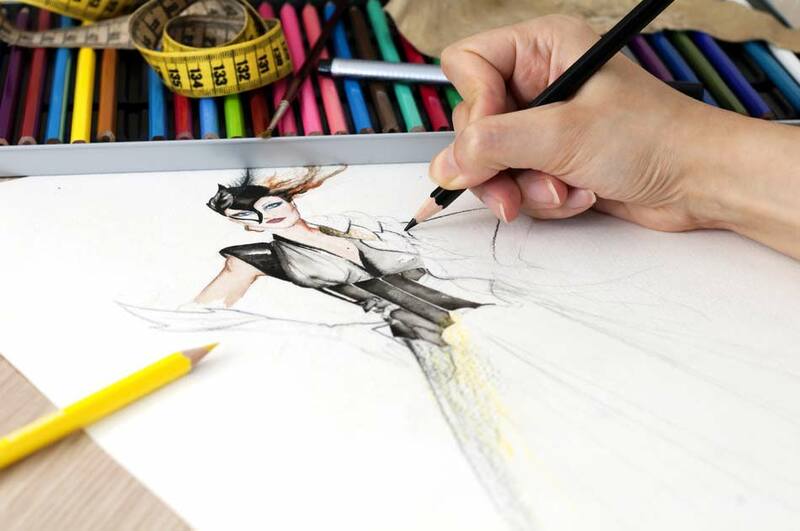 If your degree requires you to write a dissertation or submit a major project, this will give you a chance to further research a favoured area of fashion design. The accreditation of your degree will depend on where you choose to study. Different countries have different accreditation systems. Typically, you can expect to be awarded a Bachelor of the Arts (BA). Generally, an undergraduate degree in fashion design will take three to four years. Foundation degrees, diplomas and certificates will last up to two years, when studied full-time. Once you have successfully completed your degree, you can choose to either seek employment in your chosen area, or further your studies. Continuation of your studies could be in the form of a postgraduate degree, such as a masters or PhD, or a graduate diploma or certificate. The entry requirements for a fashion design degree will depend on where you choose to study. Some universities might require you to sit an entrance exam, where others may rely on previous exam results. Some universities may prefer you to have studied certain subjects, and others might consider previous relevant work experience. For art and design programmes, it is common that institutions require you to submit a portfolio of work as part of the admissions process. You may also be required to attend an interview before you are admitted to the course. You should check each institution to see what entry requirements they have for their fashion design programmes. The most common destination for fashion design graduates is to work directly within the design and fashion industries. You may choose to work for a clothing designer, a fashion buyer, merchandising officers, textile designers or fashion consultants. Alternatively, you might choose self-employment, and start your own fashion design company. The skills you will have gained throughout your degree will mean that there will be many career opportunities in a wide range of fields. Skills include project management, idea and design development, and effective communication. Find fashion design programs available in the following countries.